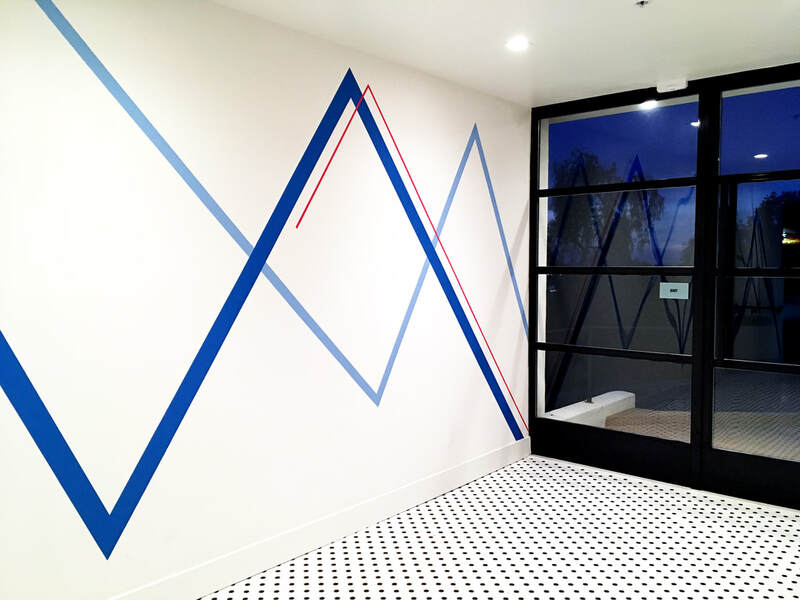 We painted a project for Kairoa Brewing Company located in the heart of University Heights on Park Blvd. 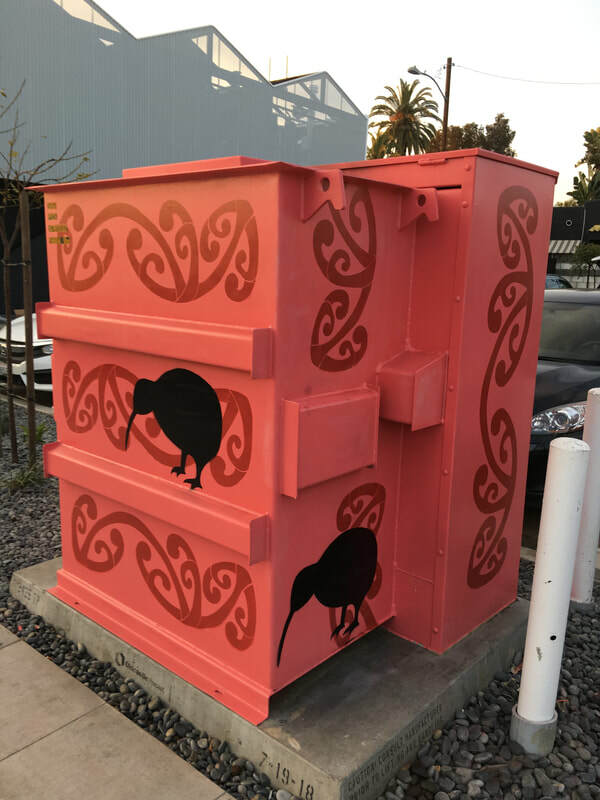 Kairoa is a New Zealand family owend Brewery and Restaurant. 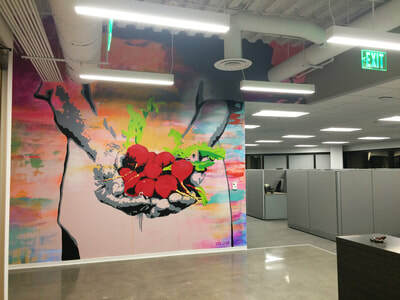 QAI national headquarters in La Jolla. 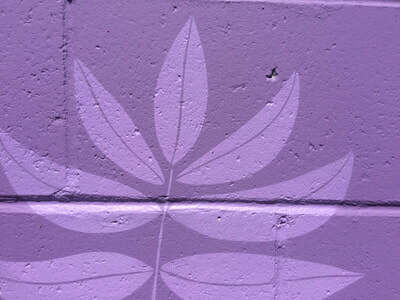 QAI operates globally to certify organic farms and operations to national organic program standards. 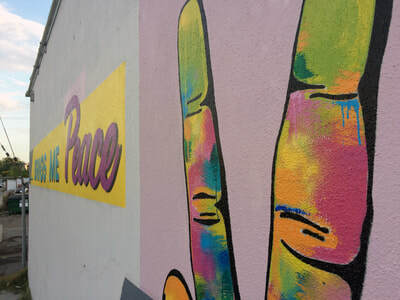 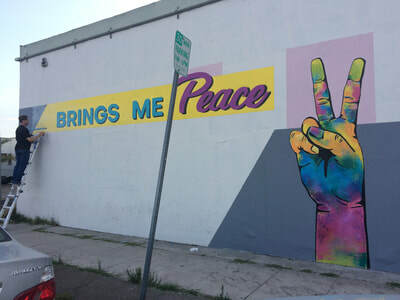 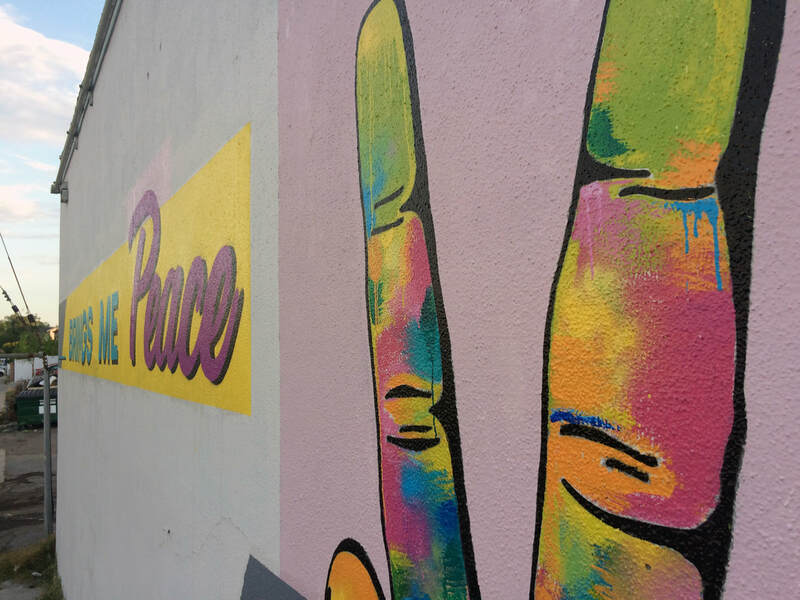 "___________ brings me Peace" is the headline of this interactive mural located at El Cajon Boulevard & 46th Street. 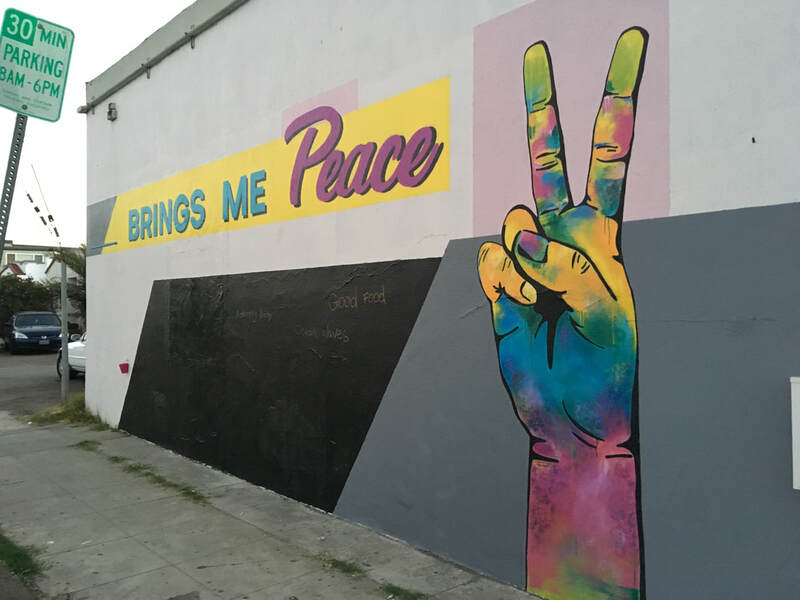 ​Hopefully this can be a reminder and a symbol to welcome one another into our communities, neighborhoods and countries. We painted a mural for SAY San Diego (Social Advocates for Youth) at the City Heights Coffee House on El Cajon Boulevard. 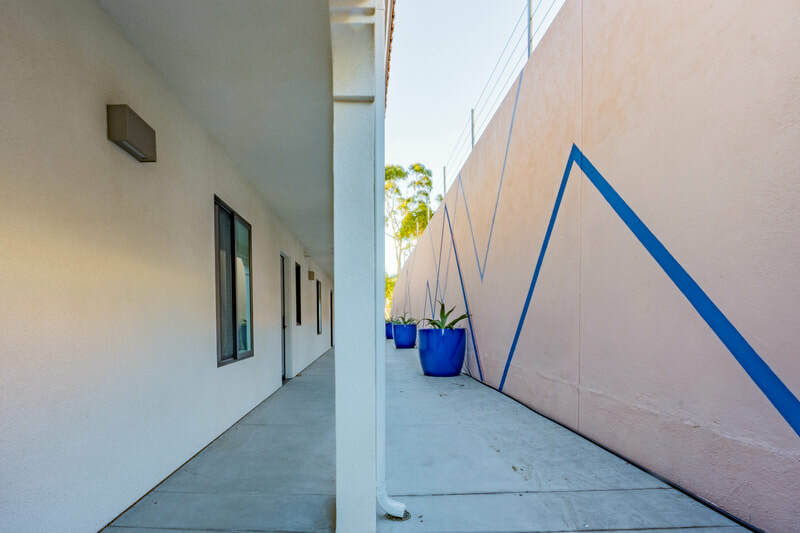 SAY San Diego partnerships and services address the comprehensive needs of the entire individual or family rather than focusing on one symptom or problem. 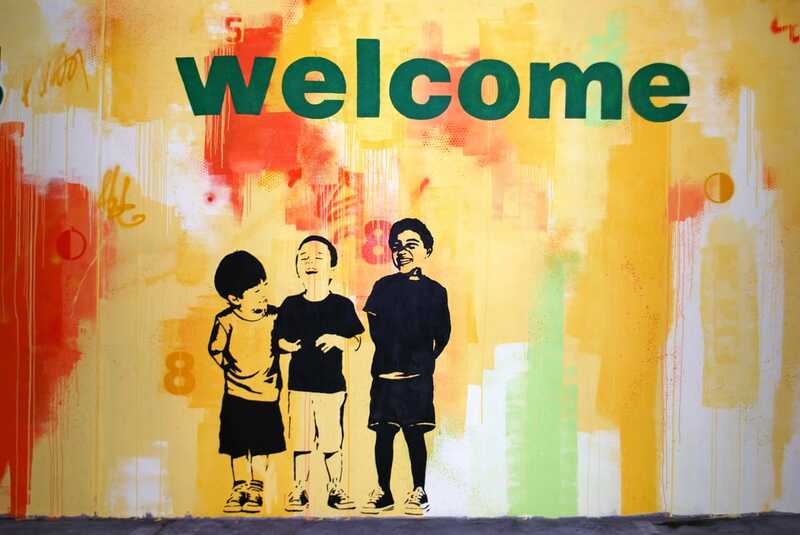 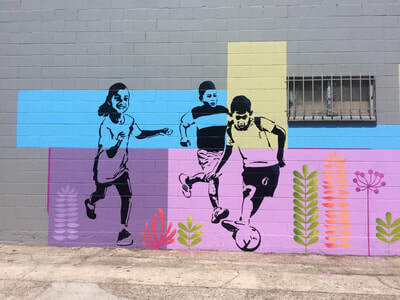 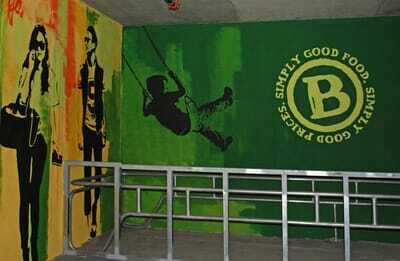 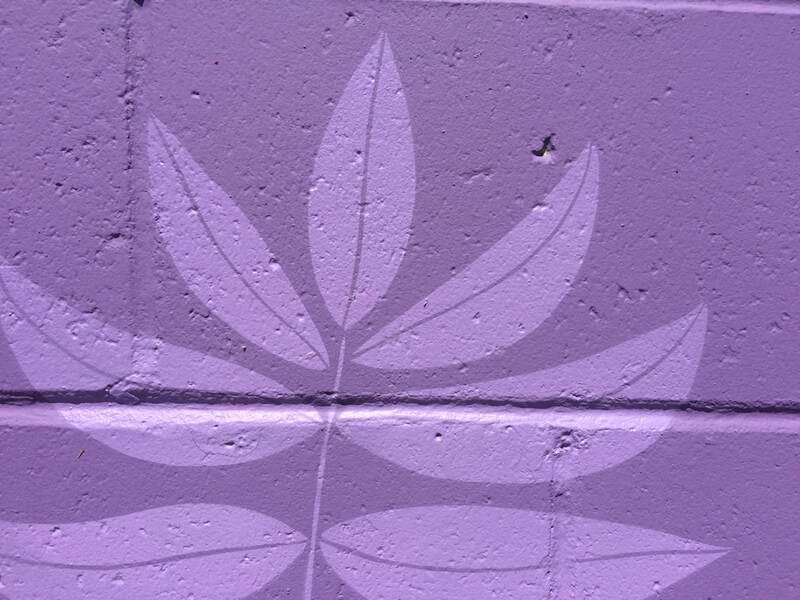 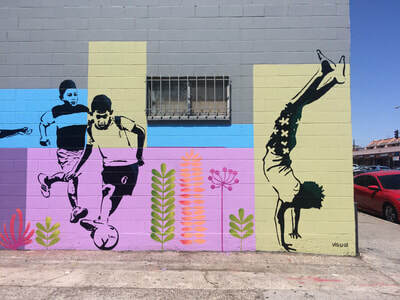 Our mural is designed to represent a healthy and active lifestyle for the youth in the City Heights community. 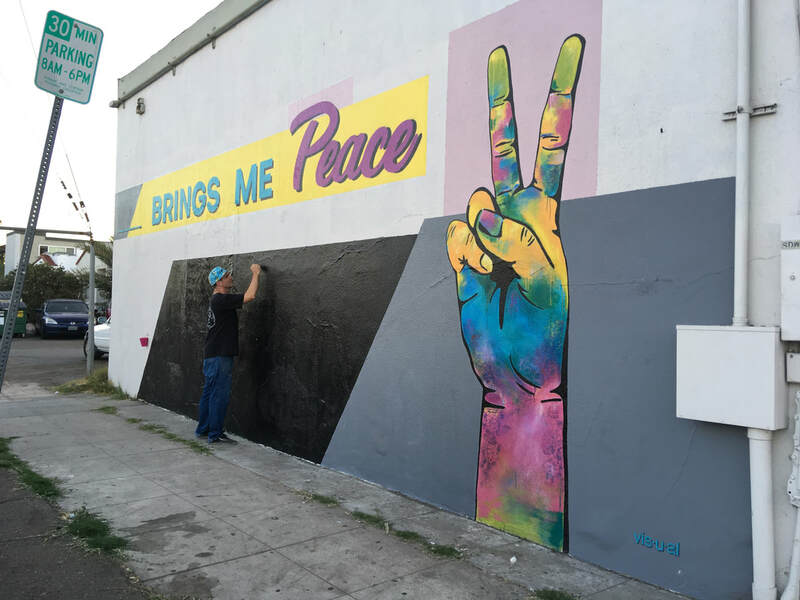 We finished this mural in the beginning of October 2017 on Wilson Ave and University Ave. 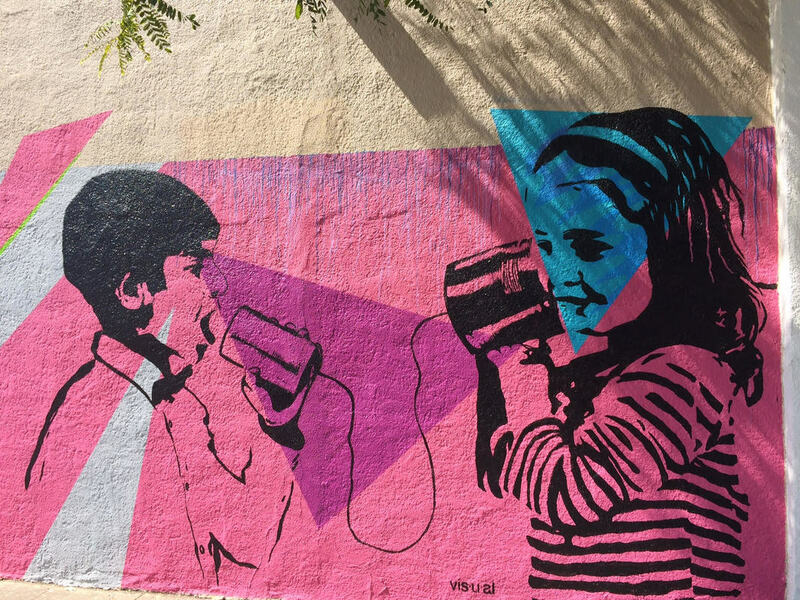 It is a commentary on communication and how we socialize in the era of the internet and how sometimes we all may forget how to interact with one another in a face to face/physical form. We think it is important to occasionally look back to when technology was not so advanced and life was more human. On June 3rd 2017 VISUAL urban contemoprary art presented 5 interior muals by different artists. 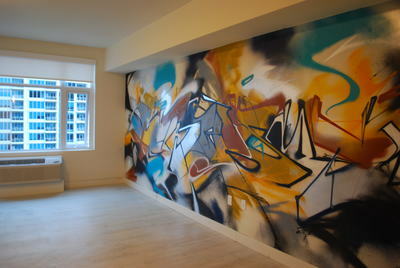 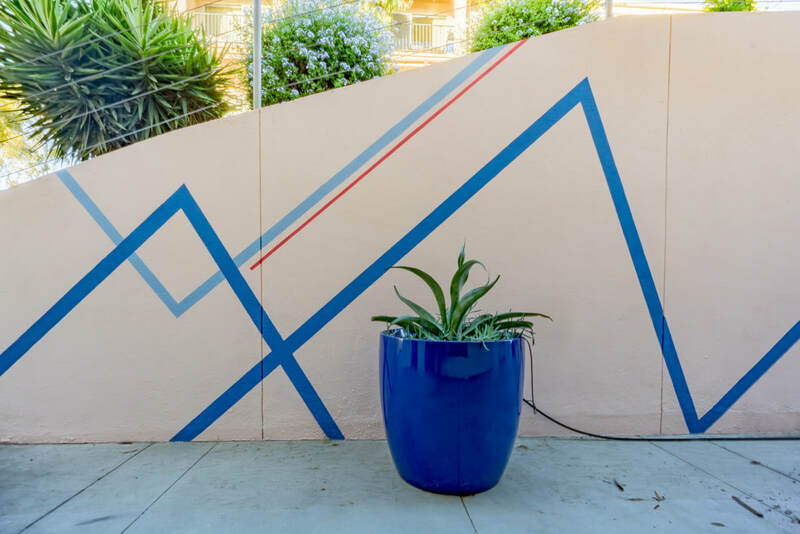 Guests could join a private studio mural tour hosted by The REY. 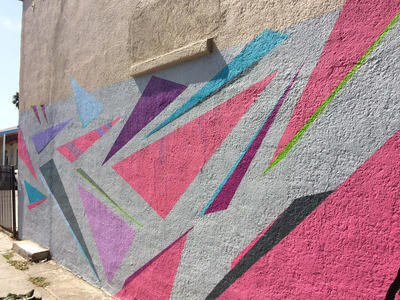 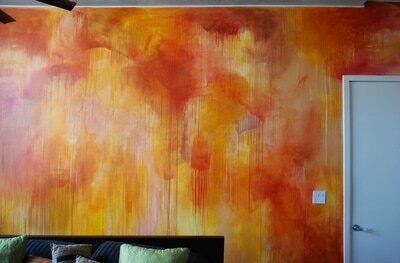 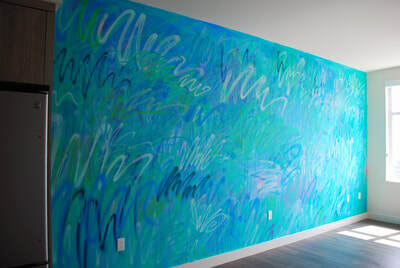 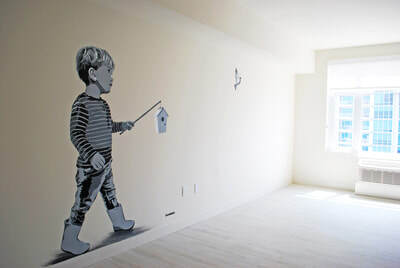 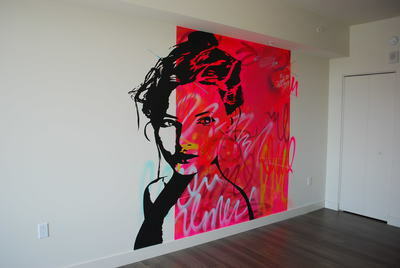 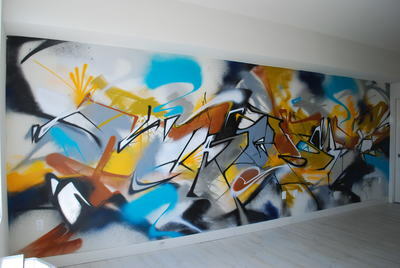 Jason Gould painted a bedroom wall in Downtown San Dieogo. 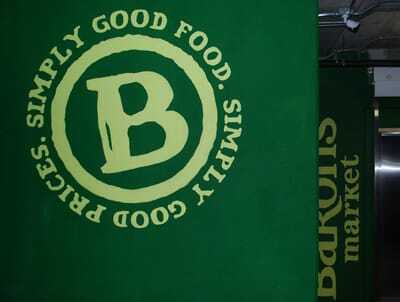 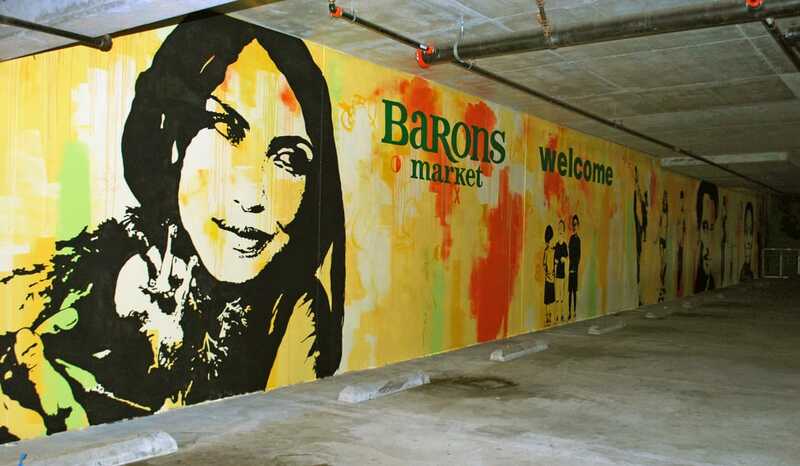 Barons Market opened its doors at 3231 University Ave in North Park on December 29. 2016. 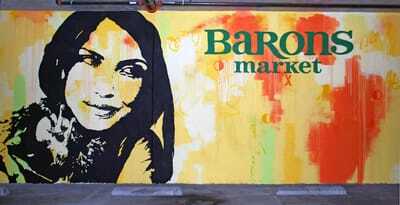 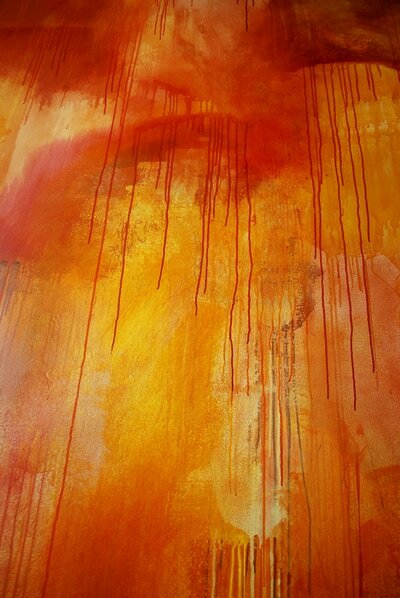 Local art infuses the aisles with community pride amongst good food at good prices. Today, the family owned grocery store announces its selection of five neighborhood artists who will craft three custom murals, two inside the store and one in the parking garage. 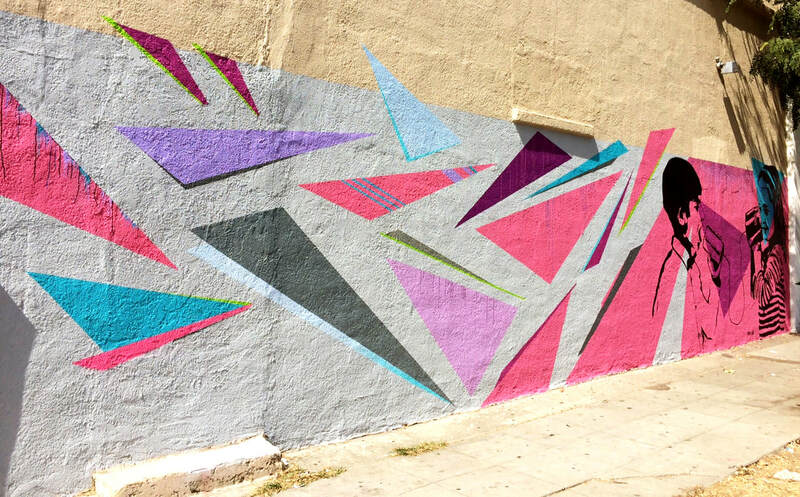 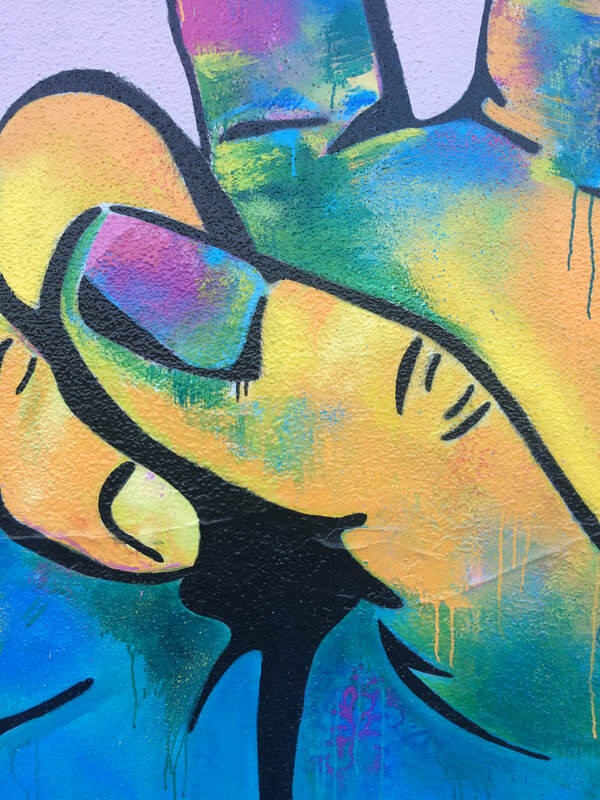 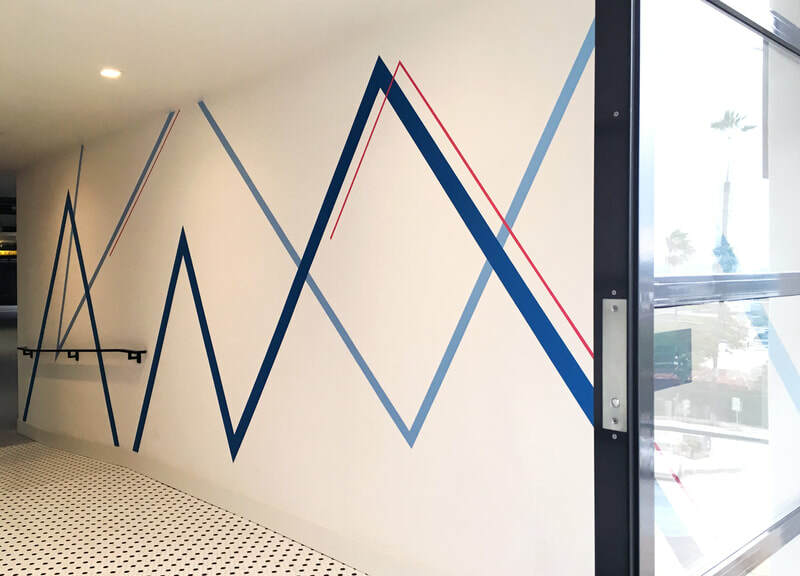 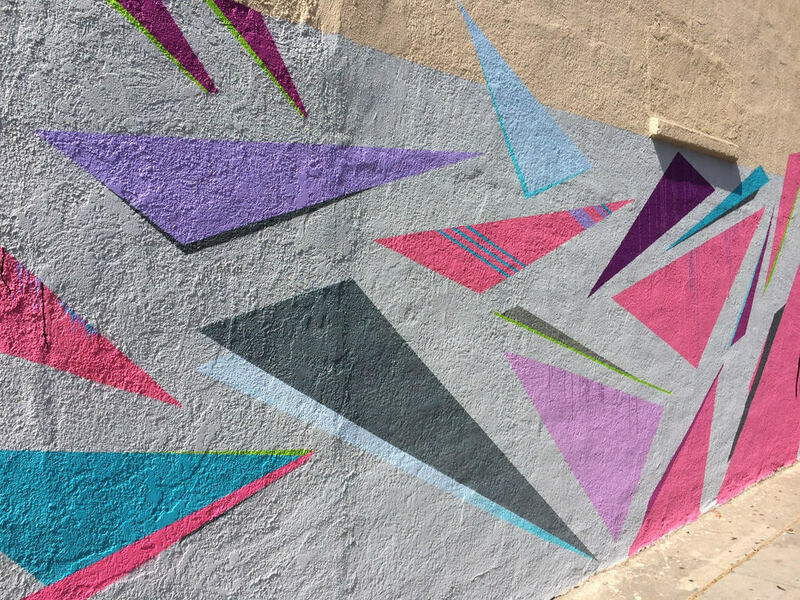 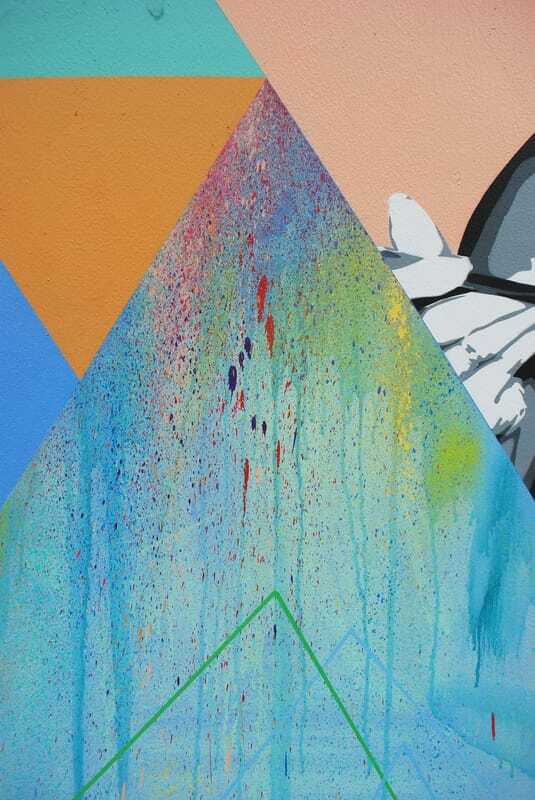 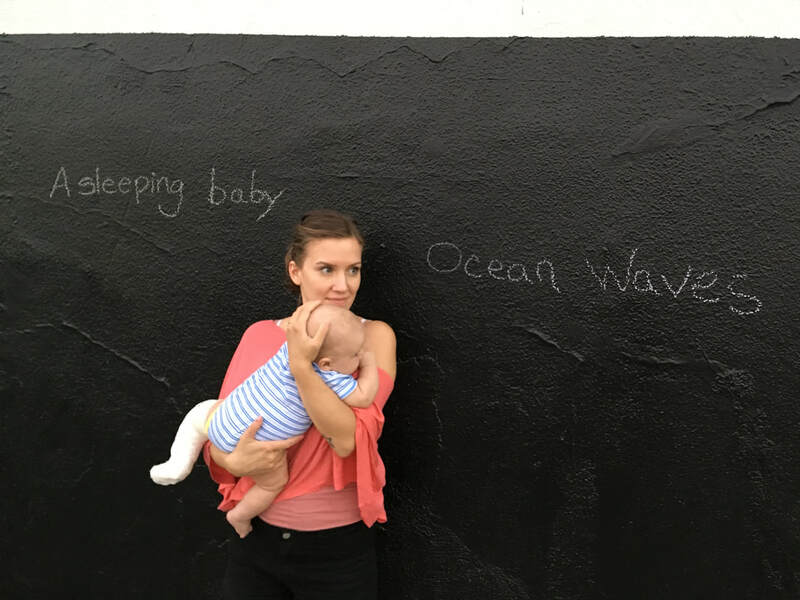 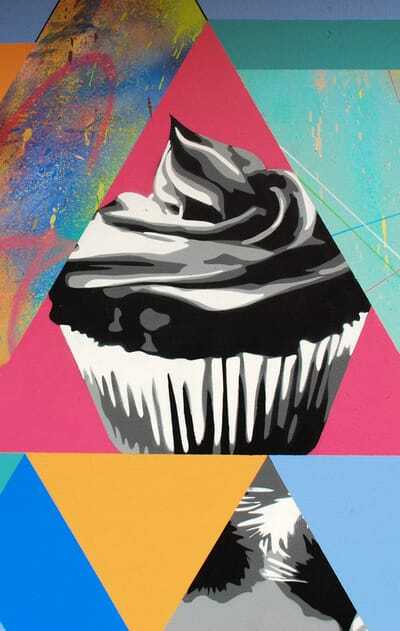 "The overwhelming talent of the artists who applied to paint a mural in our North Park location made us reconsider our initial plan to choose just one," says Barons Market Vice President of Marketing Rachel Shemirani. 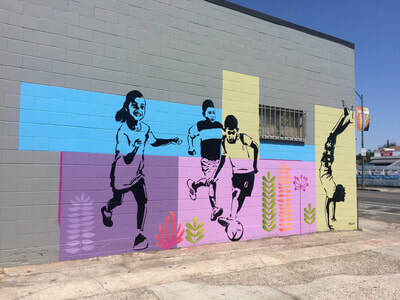 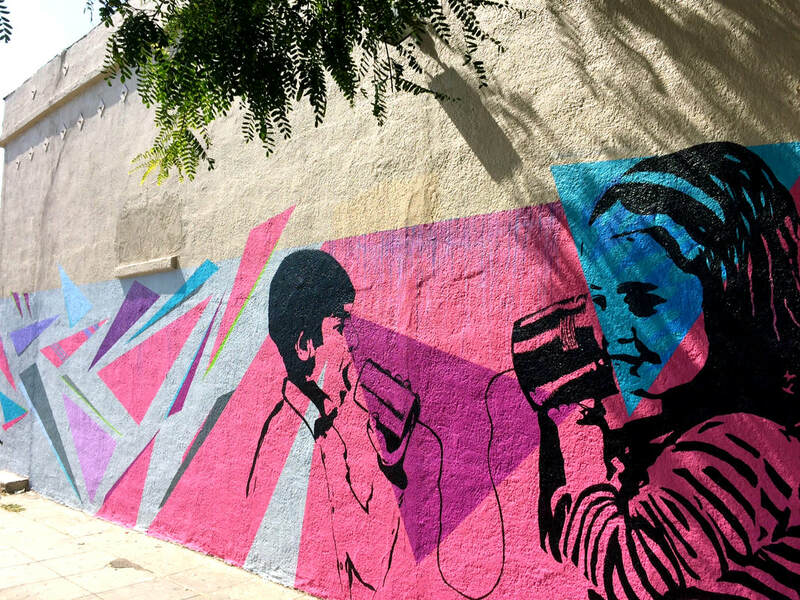 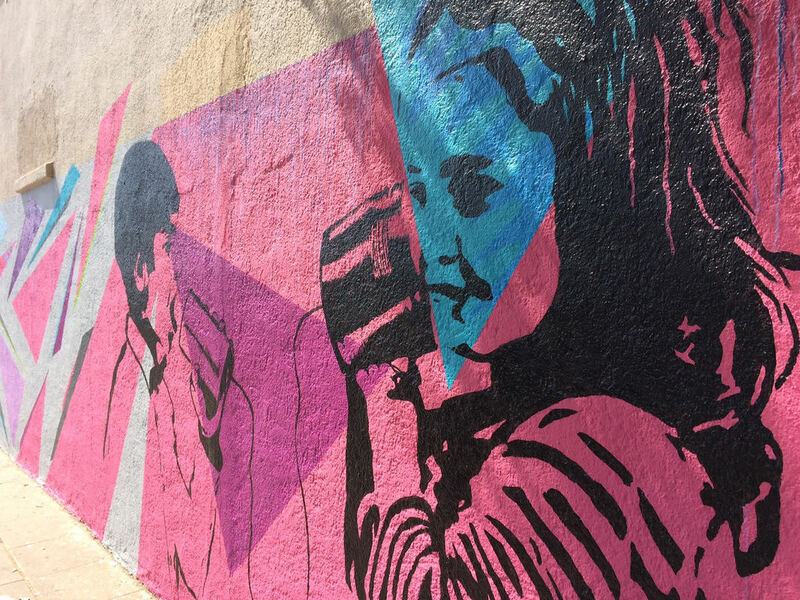 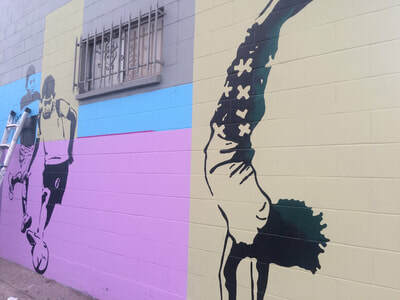 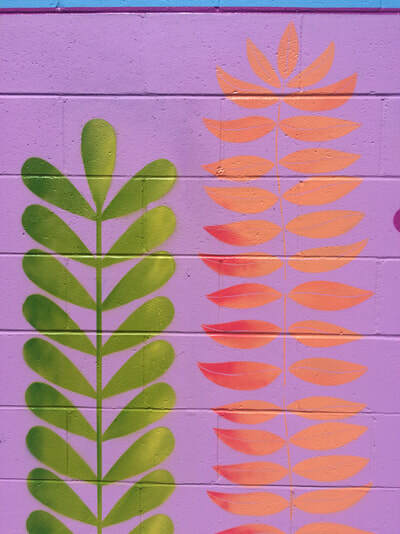 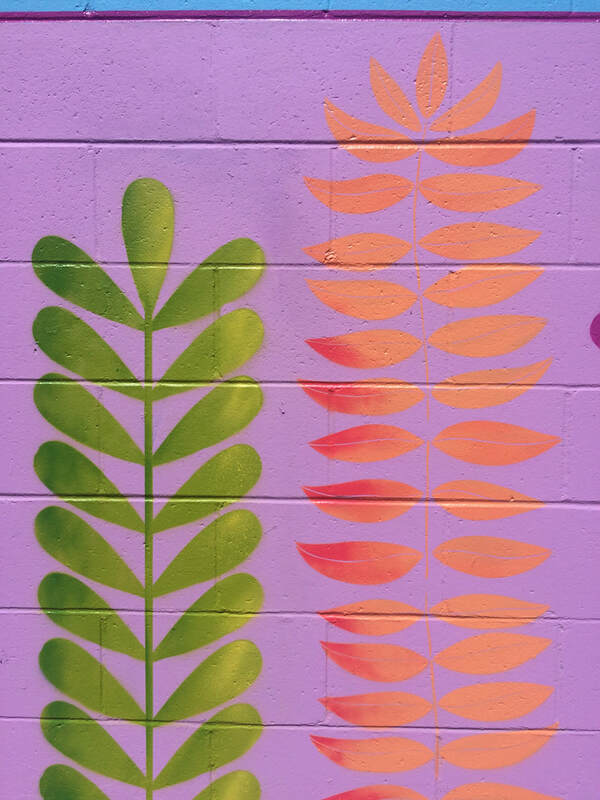 "With incredible community support for the project, we expanded the scope of artwork to three separate murals that will represent our neighborhood's vibrant and artistic lifestyle." 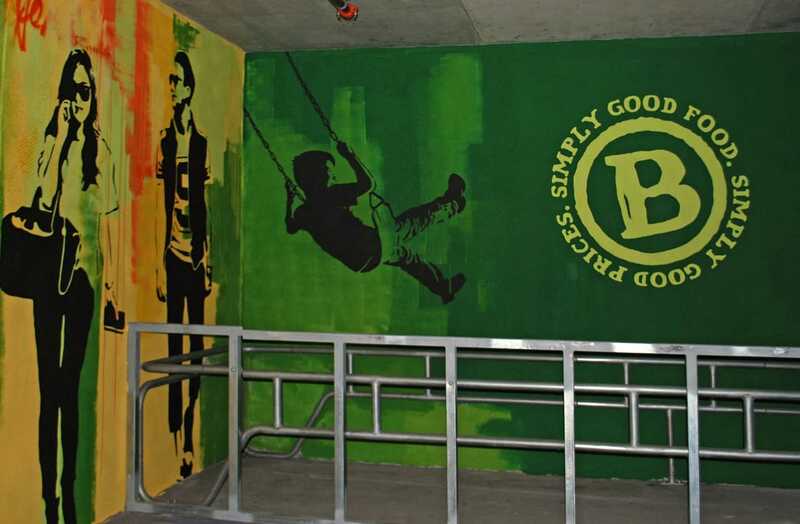 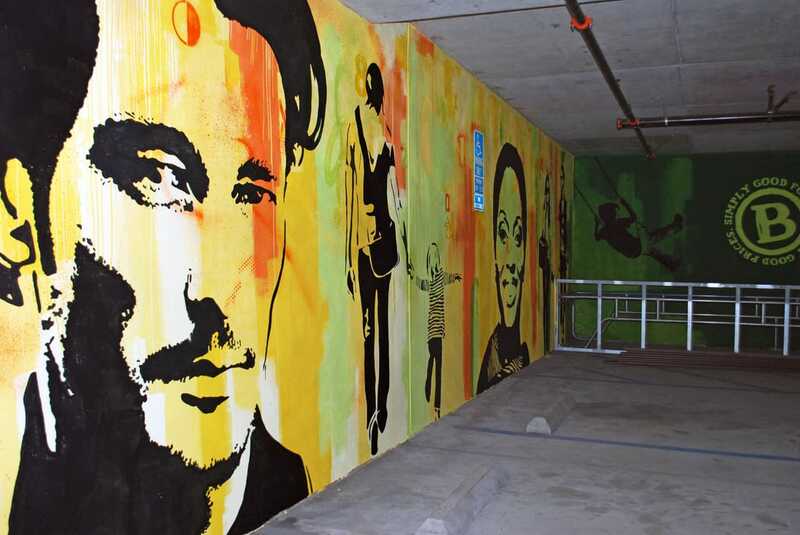 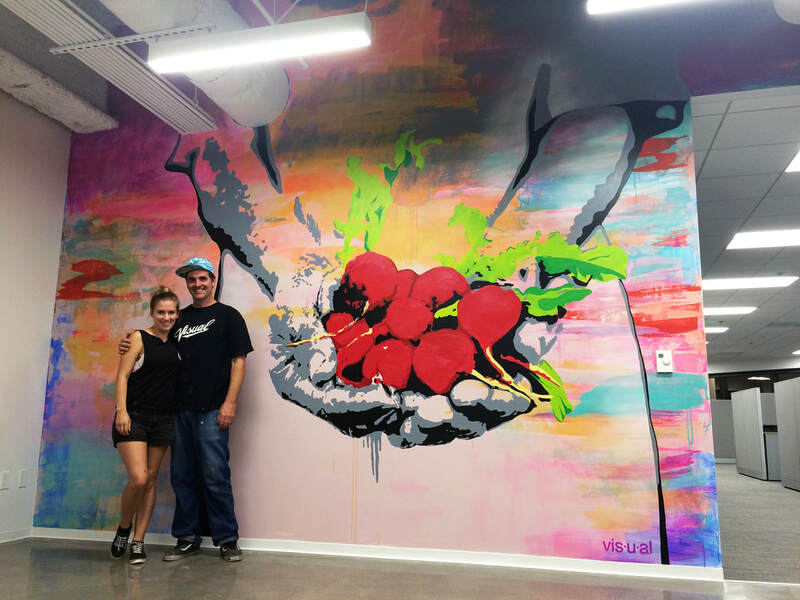 Jason and Frieda Gould, owners of VISUAL, brought their contemporary art infused with the energy of North Park to a mural on the wall of the parking garage below the store. 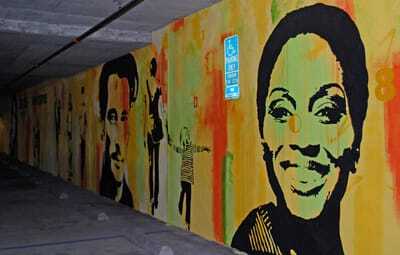 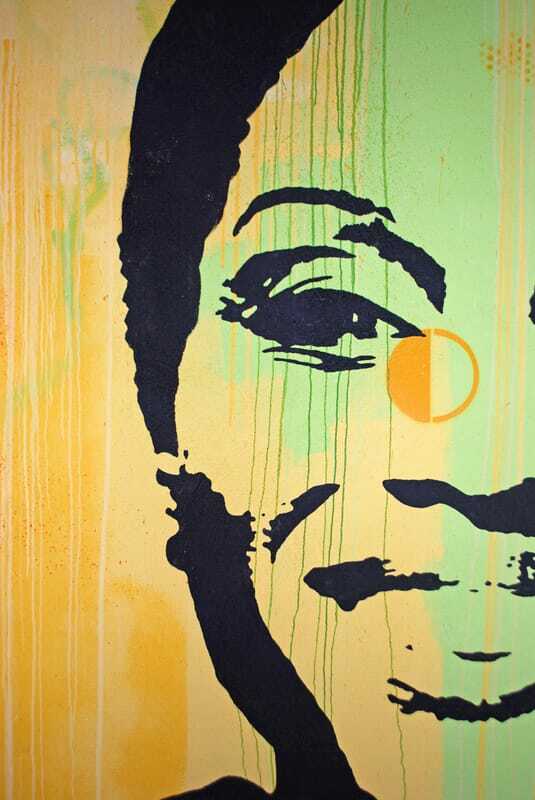 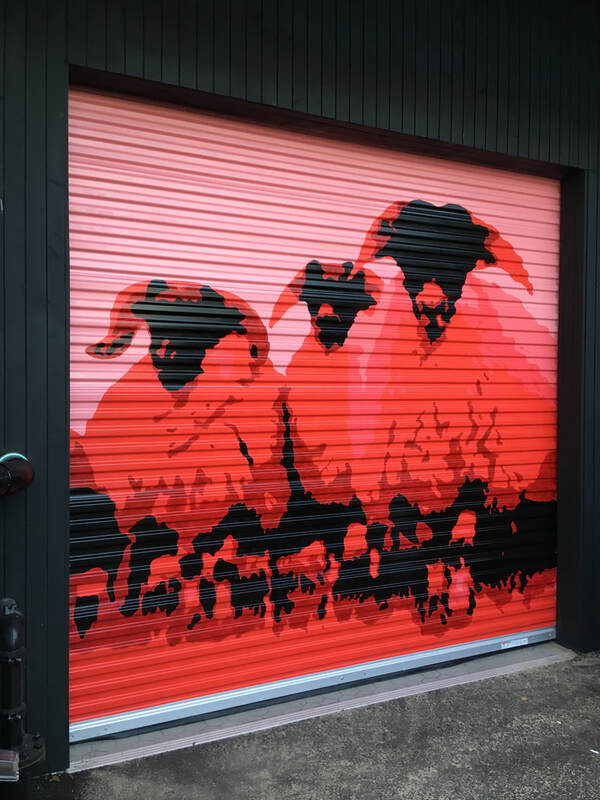 The mural brings the garage to life with bright colors and renderings of North Park neighbors. 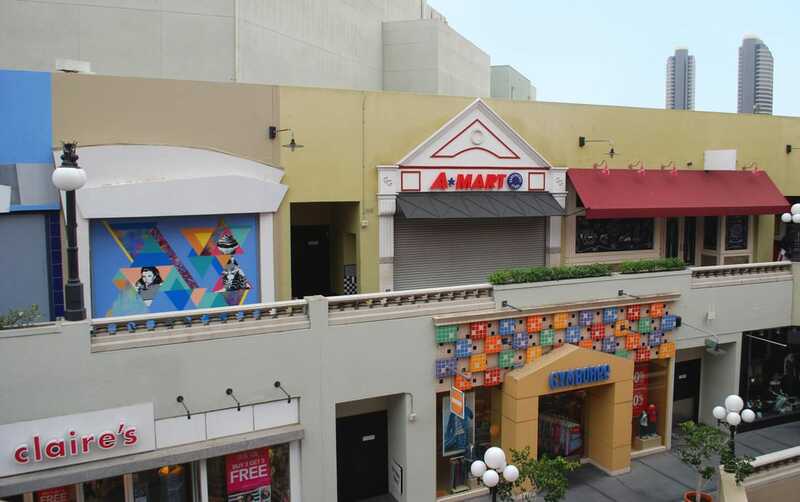 "Barons Market reflects the values and lifestyle of North Park residents and conscious shoppers," says Jason Gould. 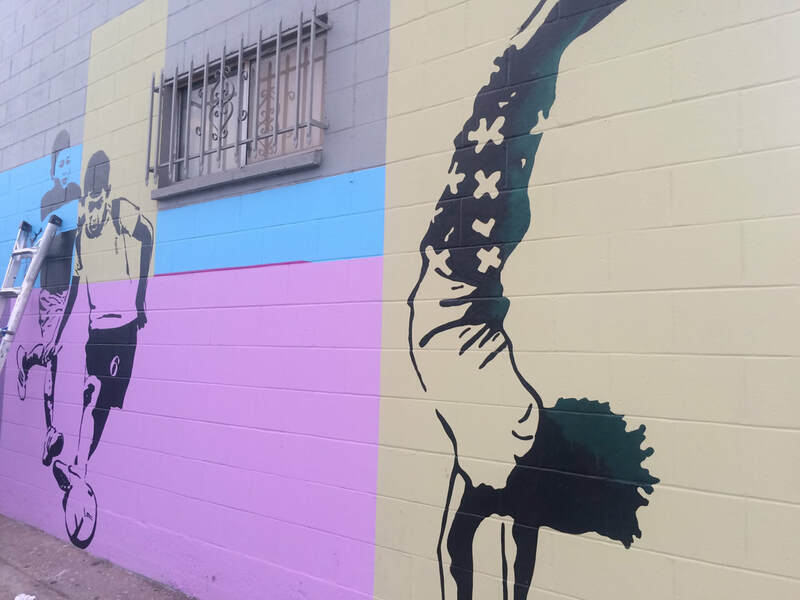 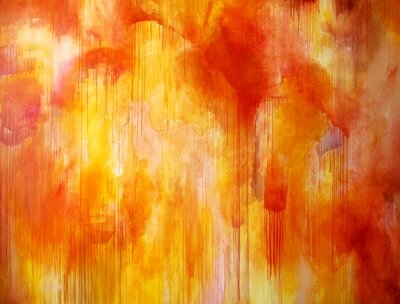 "We believe that our art reflects those same values and choices." 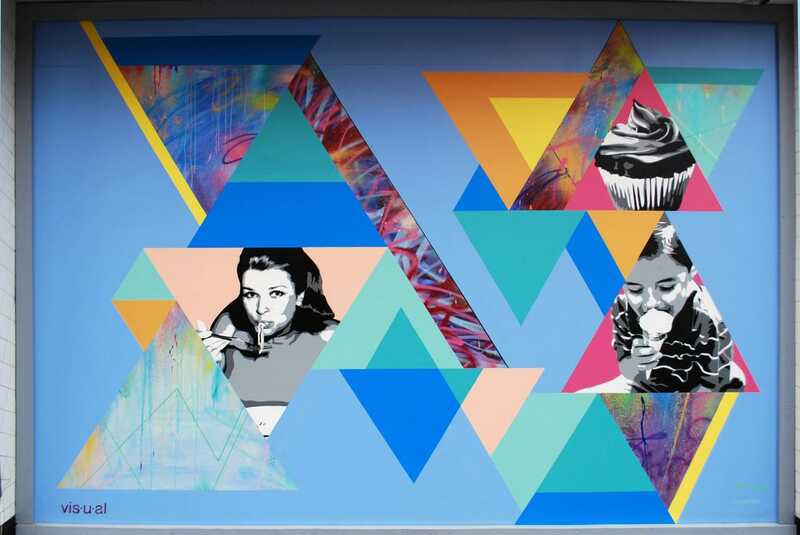 For the food court at Westfield Horton Plaza Jason and Frieda Gould created a mural in August 2016. 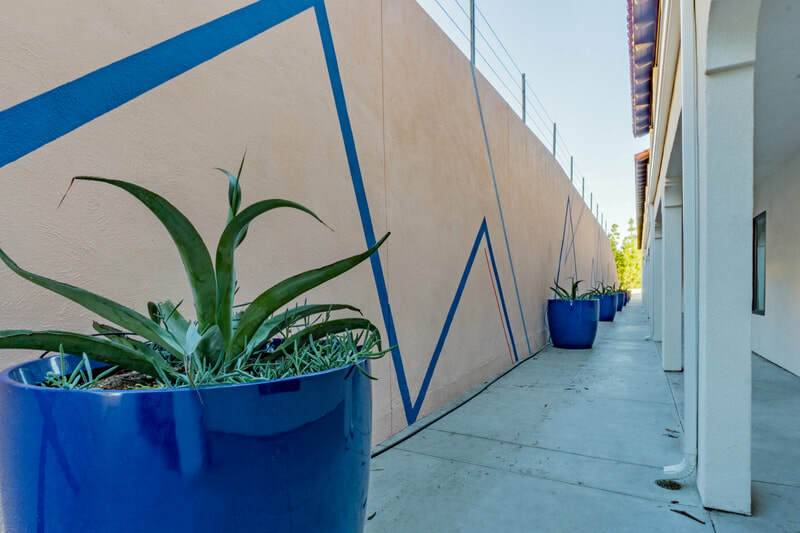 In January 2015 Jason Gould painted a mural for Dr. Seuss Enterprises, PL in San Diego. 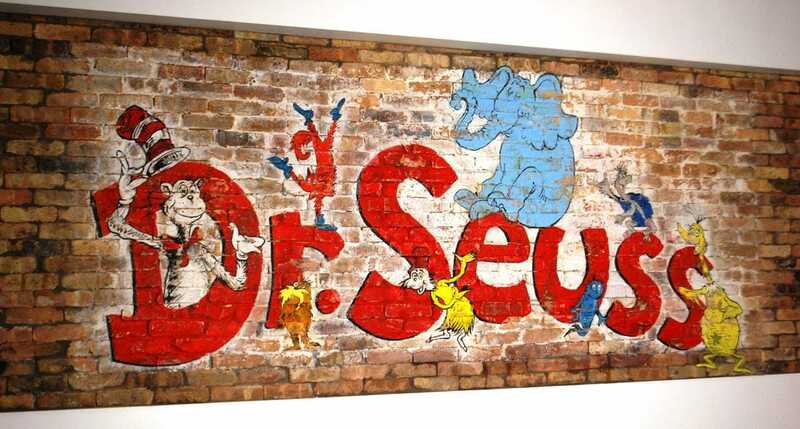 The primary focus of Dr. Seuss Enterprises, L.P. is to protect the integrity of the Dr. Seuss books while expanding beyond books into ancillary areas. 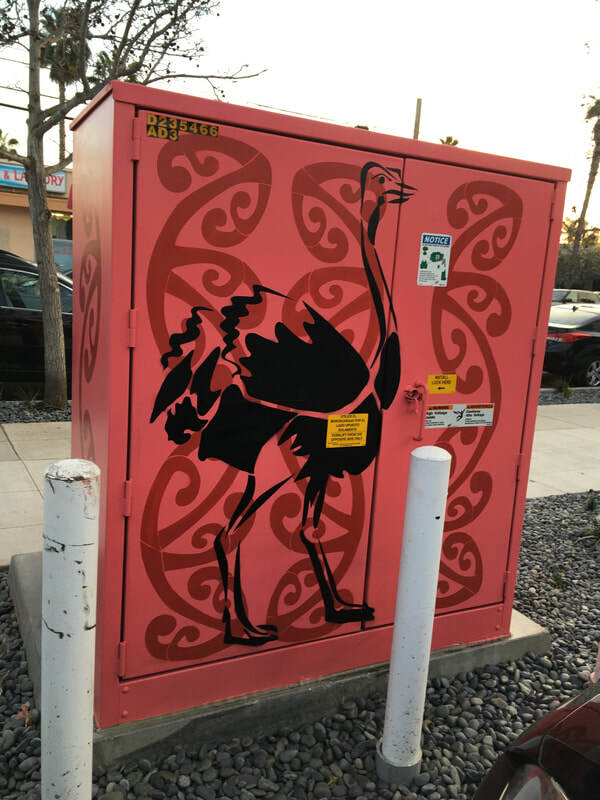 This effort is a strategic part of the overall mission to nurture and safeguard the relationship consumers have with Dr. Seuss characters. 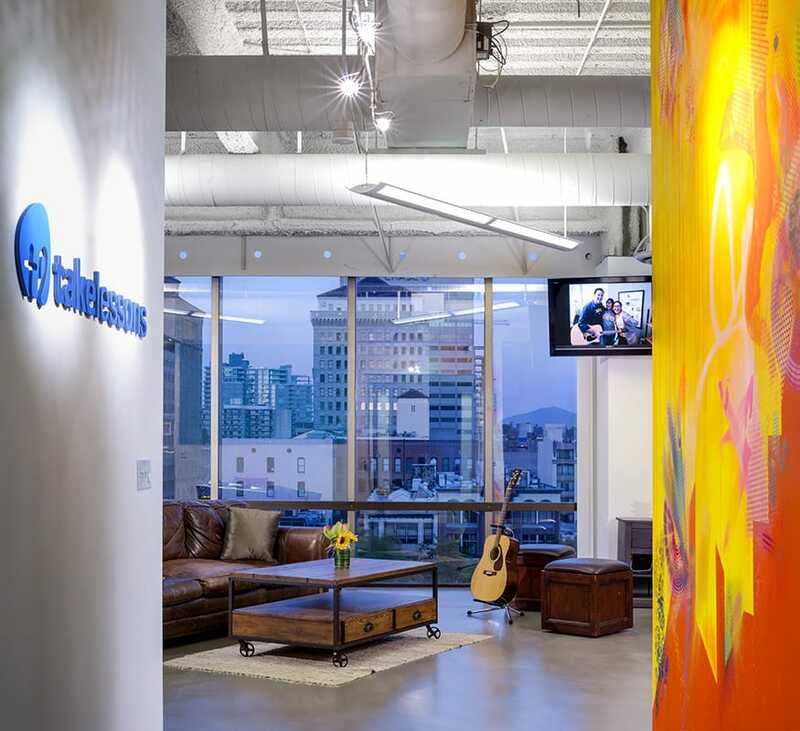 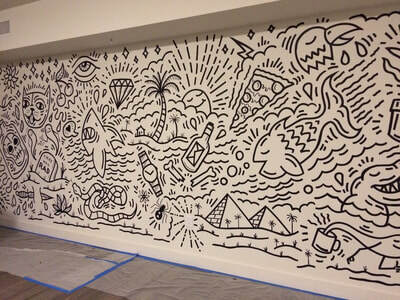 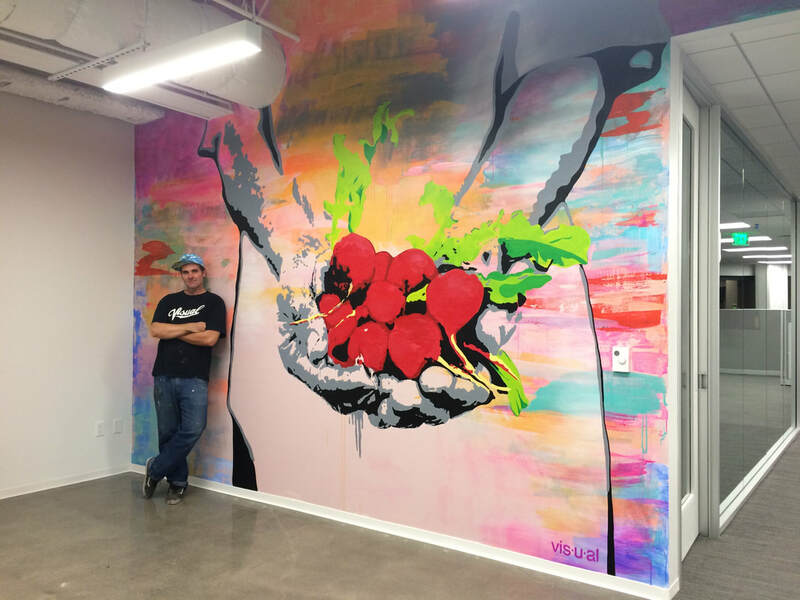 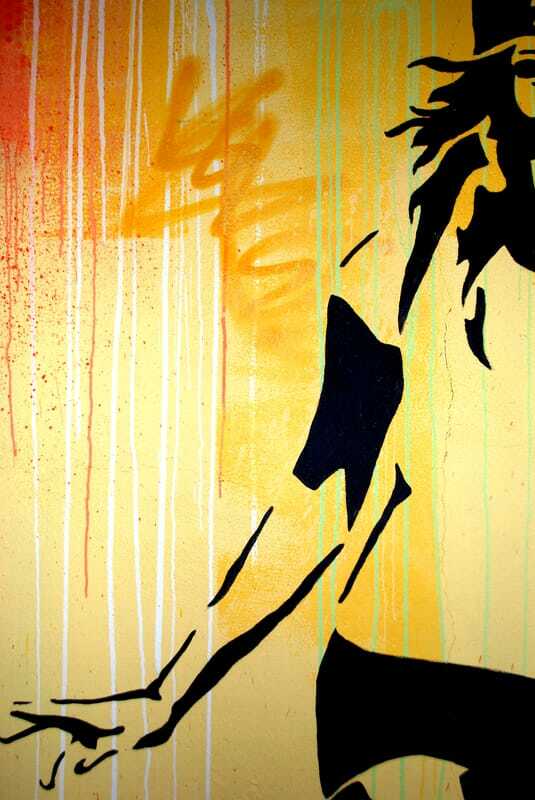 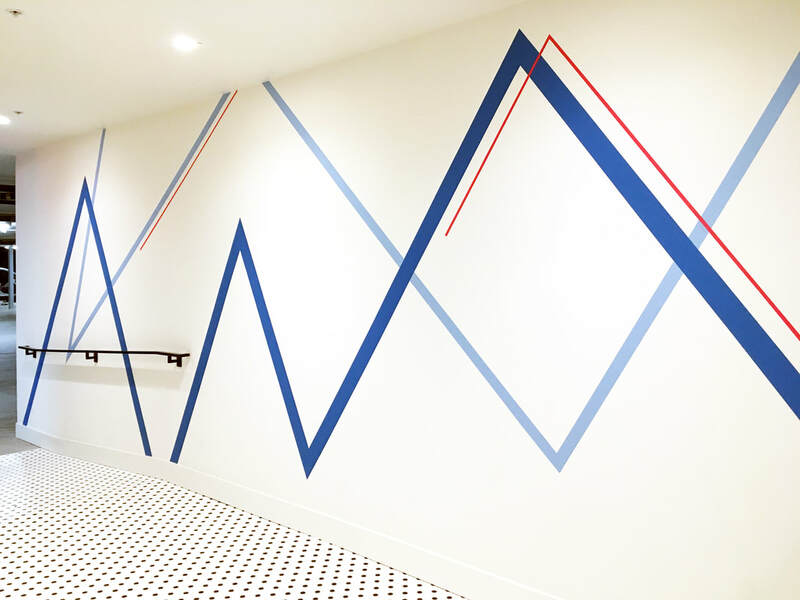 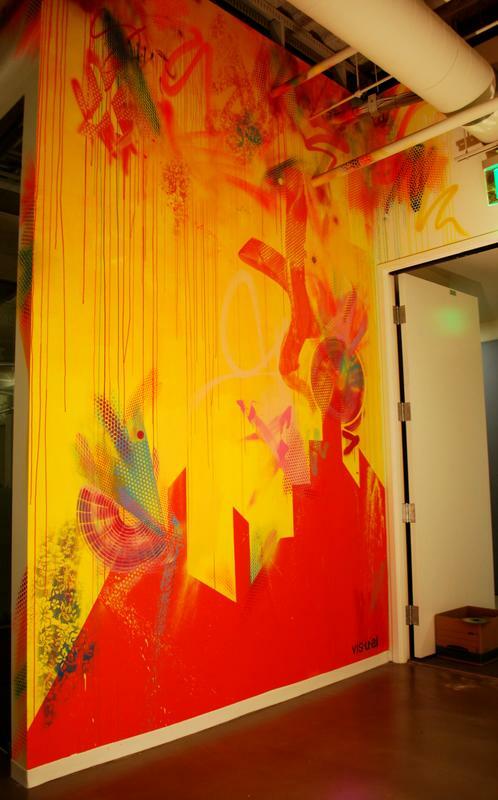 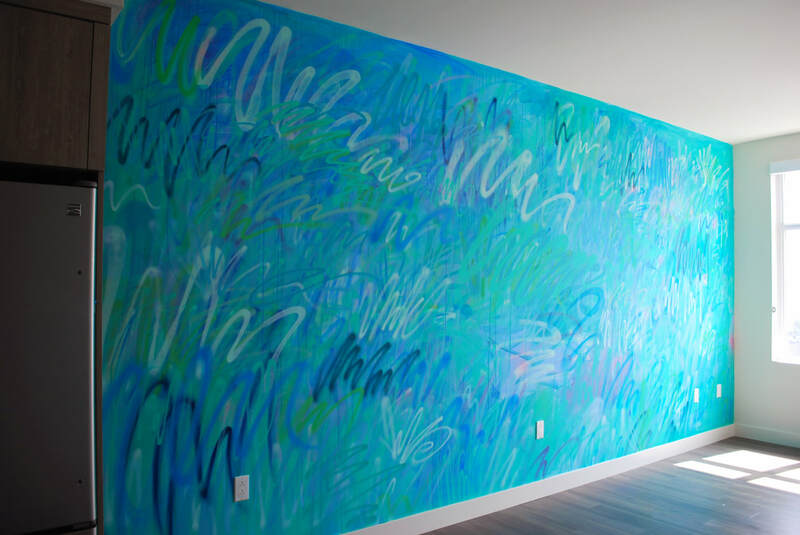 Jason Gould painted a mural for the office in San Diego in May 2014. ​LiveDeal San Diego promotes great deals from bars and restaurants in the San Diego area. 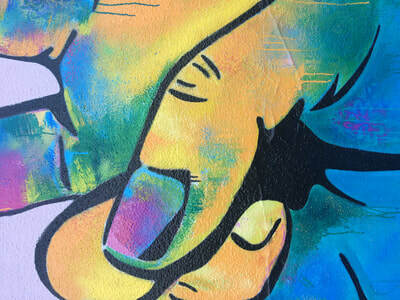 Customers can get great deals in their area and Businesses can post time-sensitive deals to a network of local users. 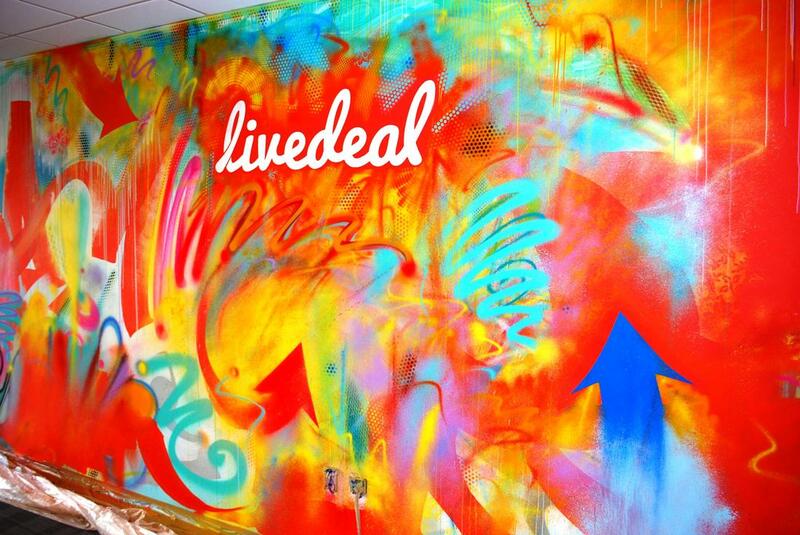 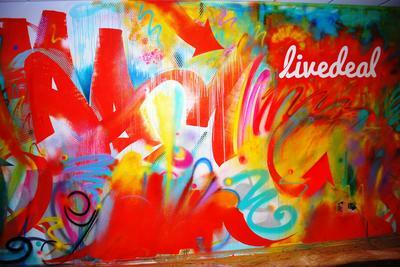 In July 2014 Jason Gould painted a mural for LiveDeal.